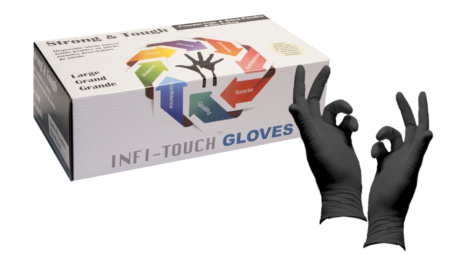 Working in an industry where disposable gloves serve as a form of safety gear, it is especially important to pick the right type of glove. Aside from choosing the right grade for your profession, you’ll also want to choose a proper size and color. When the correct size of disposable glove isn’t worn, the gloves won’t serve their purpose as protection as well. The color of the glove also matters in some industries. Most disposable gloves will come in a variety of sizes. In some cases, the glove company will provide an online size chart to refer to. They’ll also have various colors with the typical options including black, blue and white. Below, you’ll find what these colors are commonly used for. 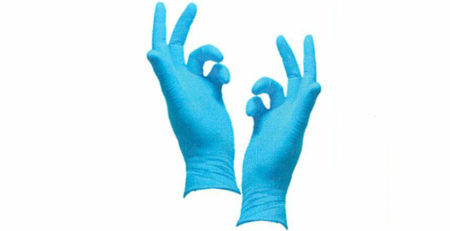 Blue Nitrile Disposable Gloves– Blue gloves are designed for purposes in the medical industry. Many healthcare professionals, tattoo artists, dentists and salons use blue nitrile gloves to complete their duties. Blue gloves make color coding in these industries easier. Black Nitrile Disposable Gloves– These gloves are commonly used in exam and industrial industries due to the fact they’re about 50% thicker. They help disguise dirt and grime while in use. They provide a more uniformed, professional appearance. White Nitrile Disposable Gloves– White disposable gloves are your standard type. However, in time the use of white gloves has become less common due to their ability to discolor faster while in use. In most cases, white gloves have undergone a chlorination process which isn’t as preferred as gloves that are lined with double polymer instead. While the design of nitrile gloves differs between styles and even manufacturers, they all have similar features. The texture of nitrile gloves may be anything from lightly textured to highly textured for a firmer grip during use. Finding a glove with the proper texture and finish is important and relevant to your job’s tasks. Powder-free gloves have become very favorable in the past years. Recently, the FDA banned powdered gloves from being used in the medical industry. The cornstarch powder was known to cause skin irritation and shortness of breath. Powder-free gloves are now better than ever due to the chlorination process or double polymer lining they now use to design the gloves. These processes make it easier for professionals to quickly put on and take off the gloves as necessary.